So in attempt to lose some weight and feel healthier, I have decide to try to get out on Binky (my little vintage town bike) a few times a week, even if it's just for 30 minutes. With my mini trainer on the back, if I dare to slow down Beaux shouts 'GO' and prods me!! I wanted to record our little mini adventures and hopefully as I look back I realise we have explored a little further each time with a bit more ease. 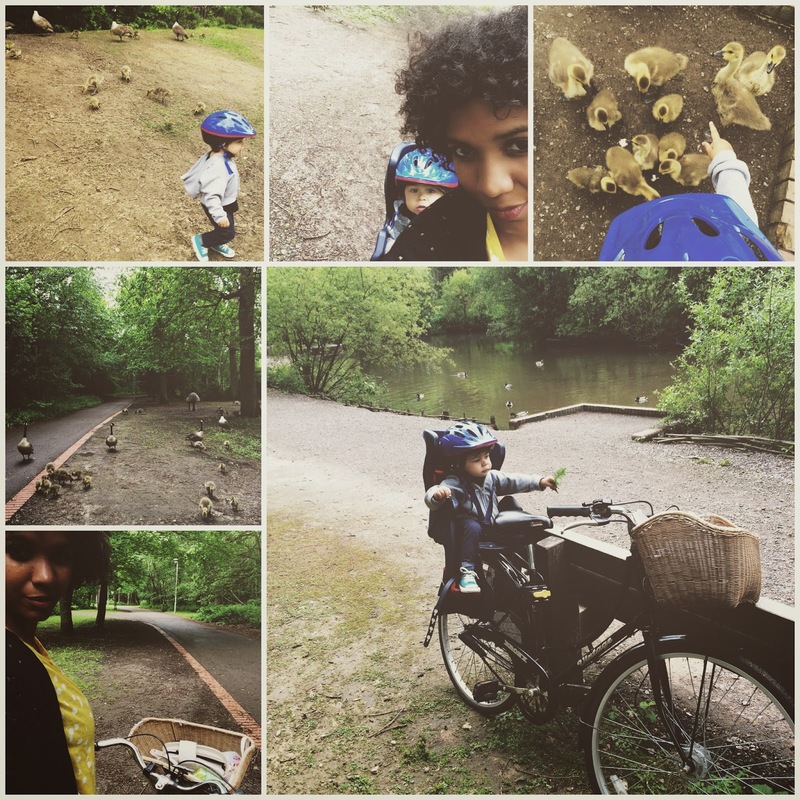 Plus going on a bike ride, stopping to feed ducks and being greeted by little baby goslings who wanted to get up close and personal - added bonus!